Station Hollywood: Raj Kumar and Sunil Dutt were sublime in the film Humraaz. Raj Kumar and Sunil Dutt were sublime in the film Humraaz. Sunil Dutt and Raj Kumar were sublime in the film Humraaz. Director BR Chopra directed many multi-starrer films and all of them did great business. Humraaz was one of the blockbusters released in 1967. In the film Vimi, the daughter of military officer Manmohan Krishan loved Raj Kumar and secretly married him. But Raj Kumar was send to the warfront and she came to know that he was no more. She gave birth to a daughter which was kept a secret by Manmohan Krishan. After 4 years of marriage, when Manmohan Krishan was in his last days the secret was disclosed. It was also mentioned that Vimi’s daughter Sarika was studying in a Boarding School, and the details relating to that was given to Vimi. Sunil Dutt, discovered that Vimi secretly went to a hotel to meet Raj Kumar, her earlier husband, and to find the truth took the disguise of a bearded man and stayed in a hotel to discover the matter. On one of the days Vimi was killed. Then Balraj Sahani had investigated into the matter. 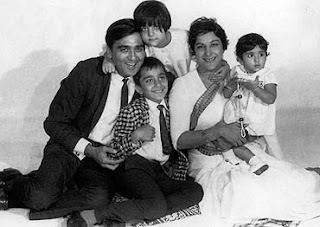 Raj Kumar and Sunil Dutt came to Ooty to take Sarika when they came to know that Madan Puri had taken her to that place. Madan Puri extracted money from his father-in-law and gave Sarika falsely mentioning that she was his granddaughter. Sarika after the killing of Vimi became dumb. At the end when the death scene of Vimi was shown by Iftekar and Mumtaz, which was recorded in a camera, everyone came to know Madan Puri killed Vimi. In a tassle to rescue Sarika, Raj Kumar was killed. The performances of Raj Kumar, Balraj Sahani, Sunil Dutt were excellent. The beautiful locations of Darjeeling and other places mesmerized the audience. BR Chopra utilized the best composition of music director Ravi Shankar Sharma. The songs of Mahendra Kapoor, “neele gagan ke tale”, “kisi patthar ki moorat se”, “na muh chupake jiyo”. Mahendra Kapoor also won filmfare award for his brilliant singing in the film Humraaz. BR Chopra did a great job as a producer and director. The film ended up being the 4th biggest blockbuster of 1967 after Upkar, Ram Aur Shyam and Farz. The film should be restored and preserved.